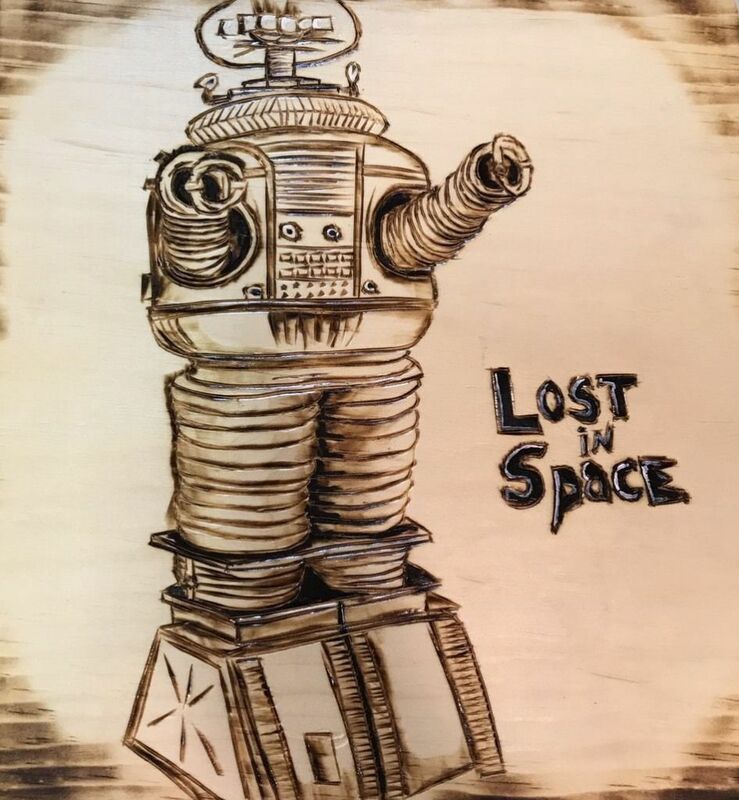 Custom B-9 Robot Lost in Space wood burn artwork. Each piece is hand drawn on solid piece of wood. These are authentic, not prints. This piece is 9" W by 11" H. All measurements are only approximate, not exact sizes. Has hanger in back so sign could be displayed. Very cool custom display piece for any home or office.